Russian riot police detained dozens of protesters during unauthorized but peaceful rallies held in several Russian cities after anti-corruption blogger Aleksey Navalny was sentenced to five years for embezzlement on Thursday morning. Around 2,500 supporters of the anti-corruption blogger Aleksey Navalny took to the streets in the heart of Russia’s capital for an unauthorized rally, according to Moscow police. The organizers of the protest however put the number of participants at over 10,000. Police sources said that in total some 160 people were detained across Moscow, but protesters claim well over 200 were apprehended. Reports added that the riot police were mainly detaining the most strident protesters who were trying to disrupt the traffic and block the streets and those standing with banners. The detained were put into buses and taken to police stations. Some of the protesters were soon released due to lack of space in prison vans. After the protesters were pushed back from Manezhnaya Square, a part of the crowd organized decentralized protest “promenades” in central Moscow streets with groups of several hundred people gathering in different places in central Moscow. The most devoted Navalny’s supporters continued to demonstrate in Kitai-Gorod for several hours after the main crowd dispersed. Riot police cordoned off the area of Manezhnaya Square and the adjacent Tverskaya and Mohovaya streets, forming columns to prevent the people from blocking the traffic. 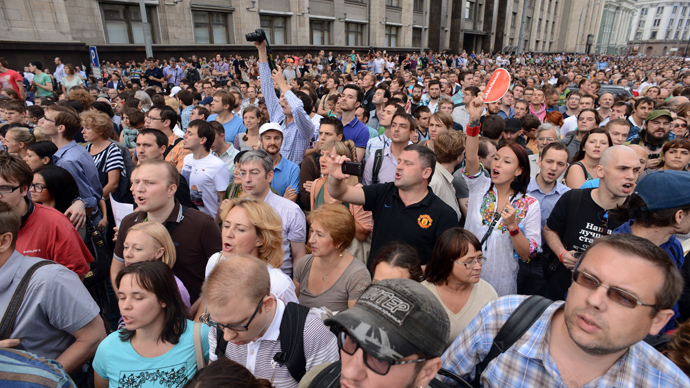 Crowds of people surrounded the State Duma building, as well as Hotel National and Moscow Hotel opposite Red Square. 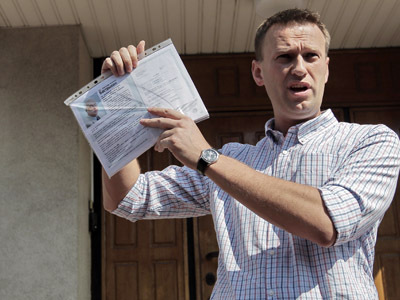 Meanwhile, Navalny’s electoral team has urged activists to bring water and food to the protesters and called for the protest to continue overnight. Another unauthorized rally was held in the northern city of St. Petersburg where more than 800 people gathered on Malaya Sadovaya Street. At least 30 people have been detained, Itar-Tass news agency reported adding that the police were only taking away those chanting slogans. Following the court’s verdict to the anti-corruption blogger, the first spontaneous demonstrations took place in the city of Kirov, where Navalny’s trial was held and where the opposition activist is currently being held at a detention facility. About a hundred people gathered outside the court, holding banners criticizing the verdict. 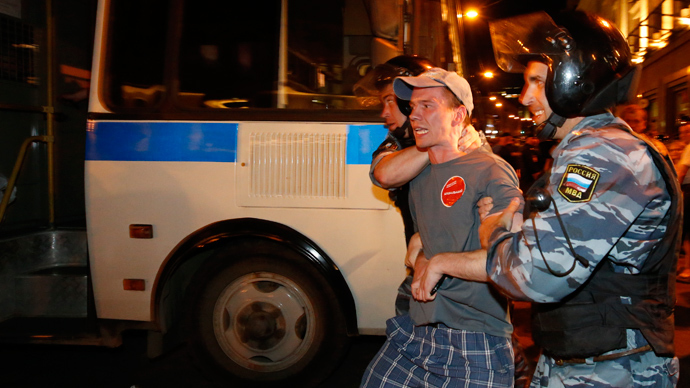 Several have been taken into custody including one of the leaders of Navalny’s support team, Nikolay Lyaskin. Smaller protests have been taking place in several other Russian cities including Samara, Kazan and Voronezh. 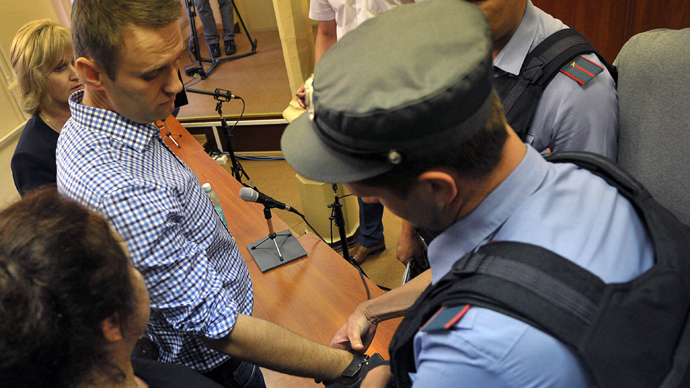 On Thursday morning a Kirov court sentenced Aleksey Navalny to 5 years in prison for embezzlement. 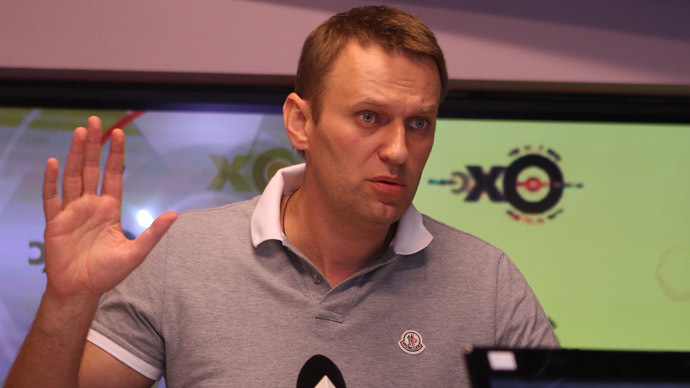 The court ruled that Aleksey Navalny and his accomplice, Pyotr Ofitserov, caused 16 million rubles ($500,000) in damages to the state-owned Kirovles timber company. “Any attempts to hold unauthorized actions will be thwarted in accordance with the current law,” Moscow police had warned prior to the gathering. They further said those calling for such protests could be persecuted.